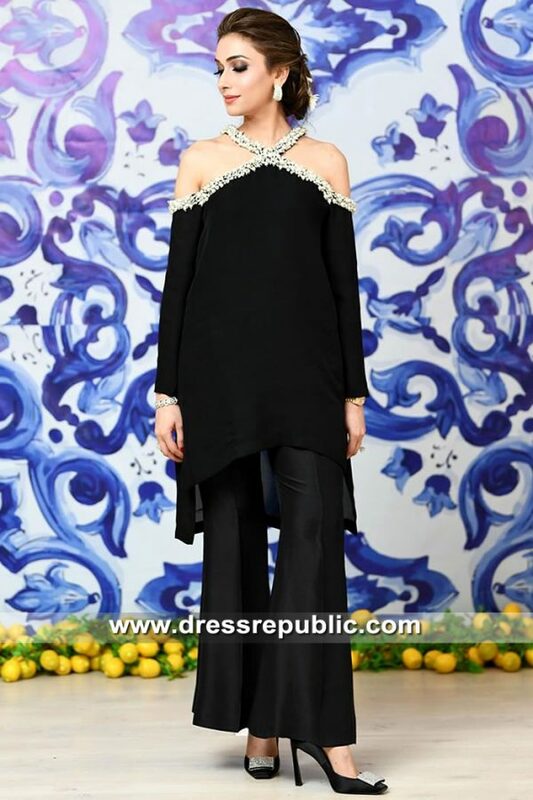 Black organza cape dress has beautiful floral embellishments. 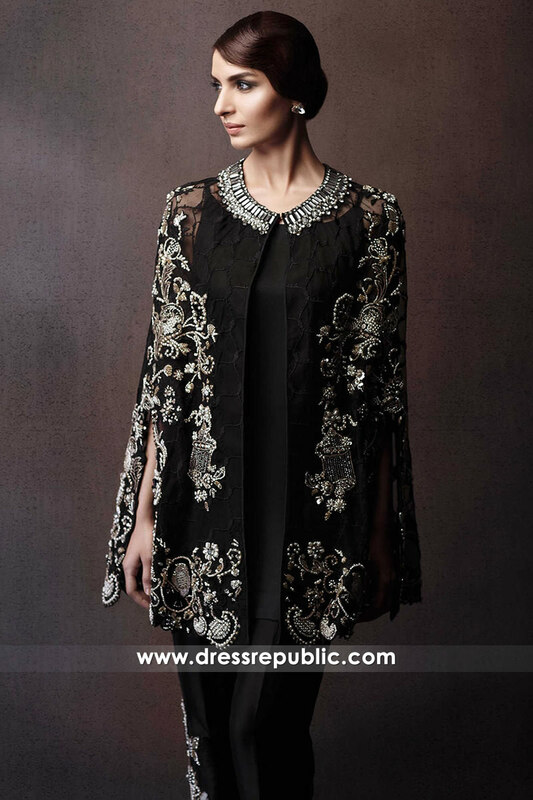 Front slit jacket style cape. Silk inner. 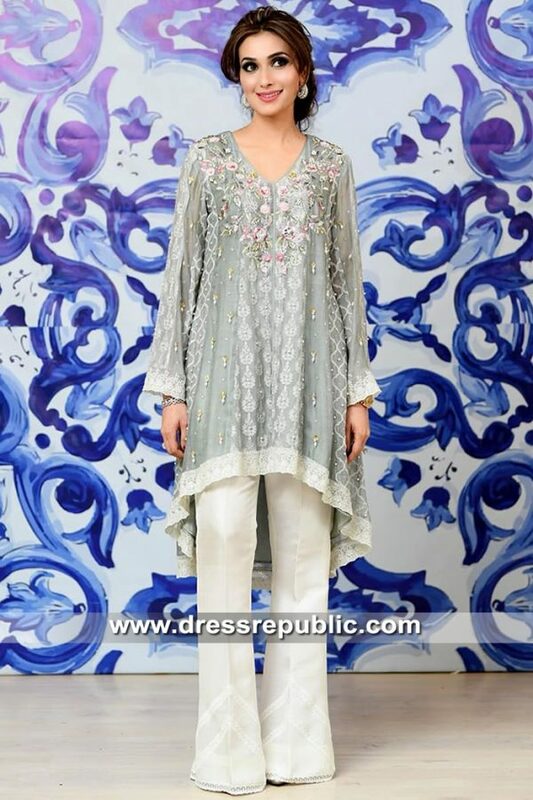 Raw silk pants have embellished side seams.